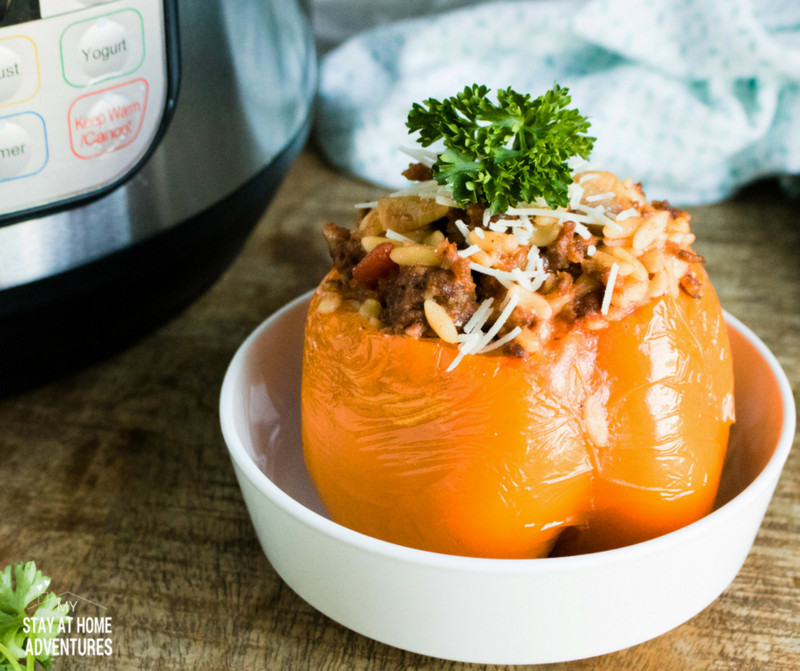 Learn how to create the best Instant Pot Orzo & Italian Sausage Stuffed Peppers recipe, my friend! So good and so easy to make you are going to are truly love it. 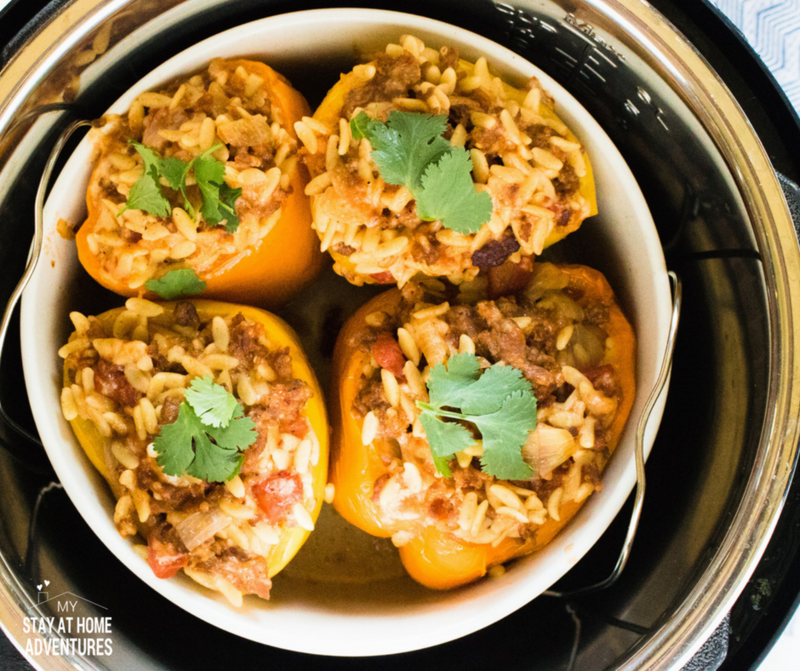 Now what I love about this orzo & Italian sausage stuff peppers recipe is the flavor! It's a summer favorite and you can adjust the taste to your liking. 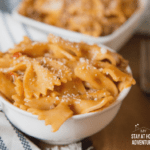 You can't go wrong with this recipe! If you don't know why I used orzo instead of rice, I will explain in just a moment. And if you are not familiar with Orzo or are debating rice vs Orzo keep reading because I will explain it now. 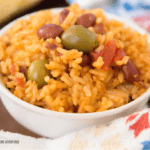 Orzo is a pasta that is rice-shaped. It is made out of white flour but can be made from whole-grain flour. Rice is rice! 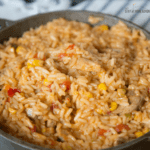 Rice is a grain and Orzo is pasta. That's the difference. 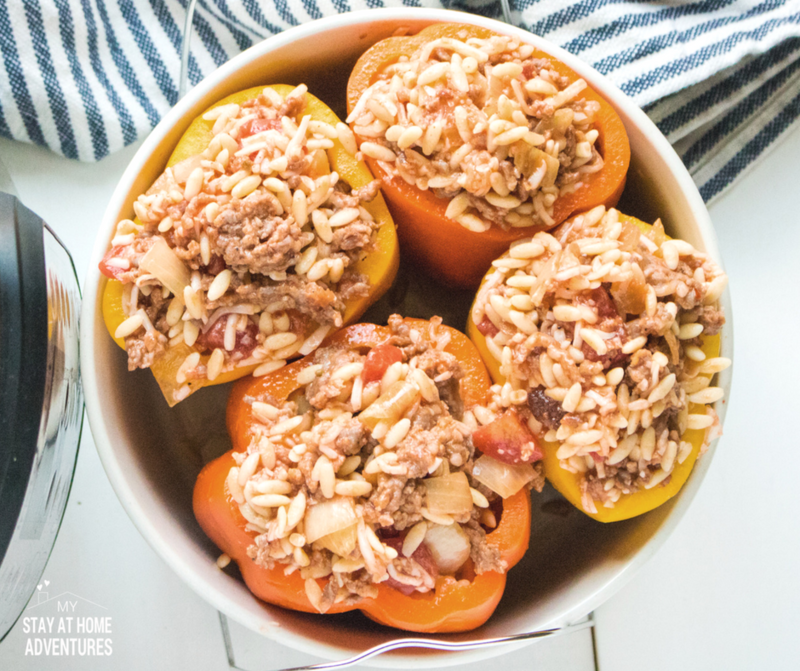 To spice this recipe up I decided to replace the rice and use Orzo instead since we always tend to make stuffed peppers with rice. Again, you can use rice! Nothing wrong with that. 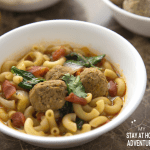 Before we begin, if you don't have an Instant Pot you can use a Crock-Pot Express Crock Multi-Cooker, this will work too. We have one and we love it too! You can also use your favorite electric pressure cooker. 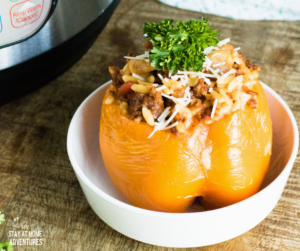 We have the ingredients now it is time to make the Instant Pot Orzo Stuffed Peppers recipe. 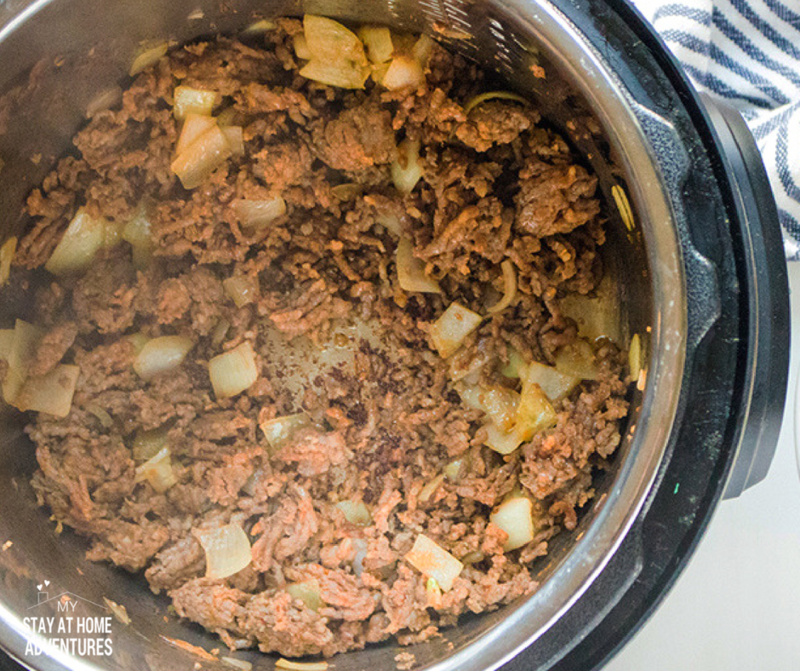 Step 1 – You are going to turn Instant Pot on to saute mode. Step 2 – Brown the Italian sausage with the chop onions. 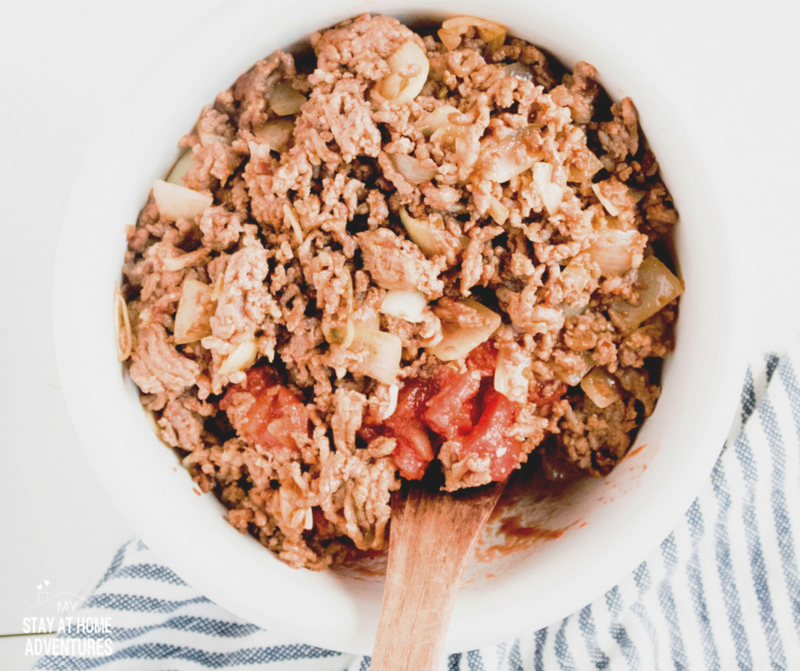 Step 3 – When you are done browning your meat, remove it from the pot and mix together with the orzo pasta, tomatoes, and cheese. Step 4 – For the peppers, remove the tops and also the membranes and seeds. Step 5 – Fill the peppers with the orzo/sausage filling. Step 6 – To the Instant Pot or your electric pressure cooker, add two cups of water. 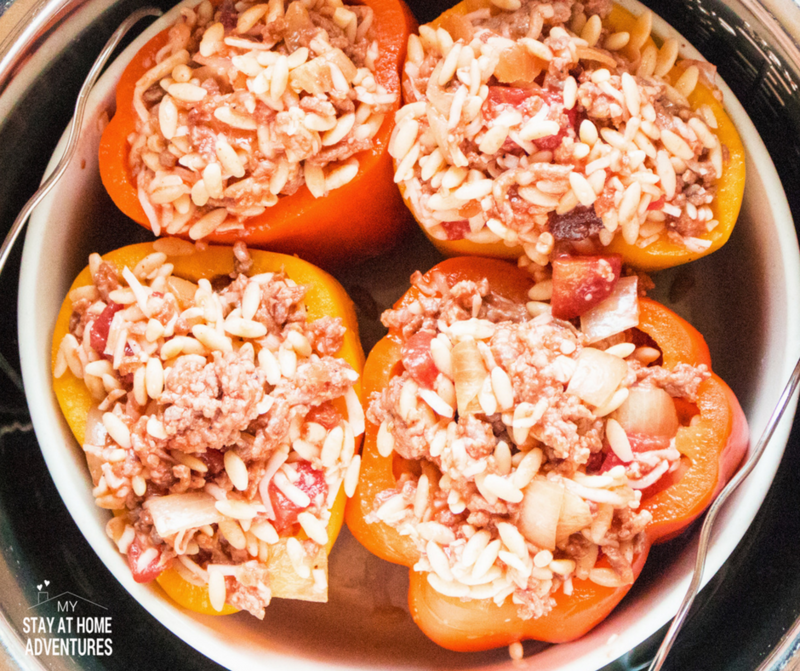 Step 7 – You are going to place the stuffed peppers in a casserole dish that fits the Instant Pot. We used this one. 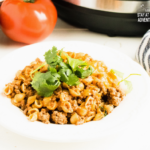 Step 8 – Place the casserole dish on top of the trivet in the instant pot. Step 9 – Close the lid and make sure your valve is set to sealing. Step 10 – Press the Manual button and set to high, 10 minutes. Step 11 – Natural release for about 4 minutes and finish with a quick release. 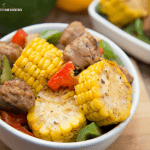 Step 12 – Remove from the pot and serve! 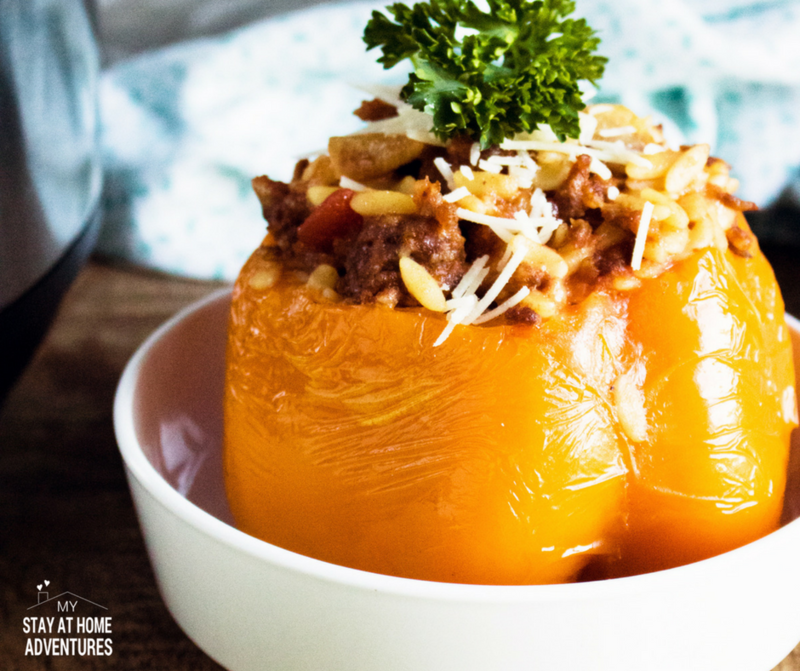 Now that you know how to make this Orzo and Sausage Stuffed Peppers recipe, print the recipe below! Turn the Instant Pot on to saute mode and brown the Italian Sausage with the chopped onion. 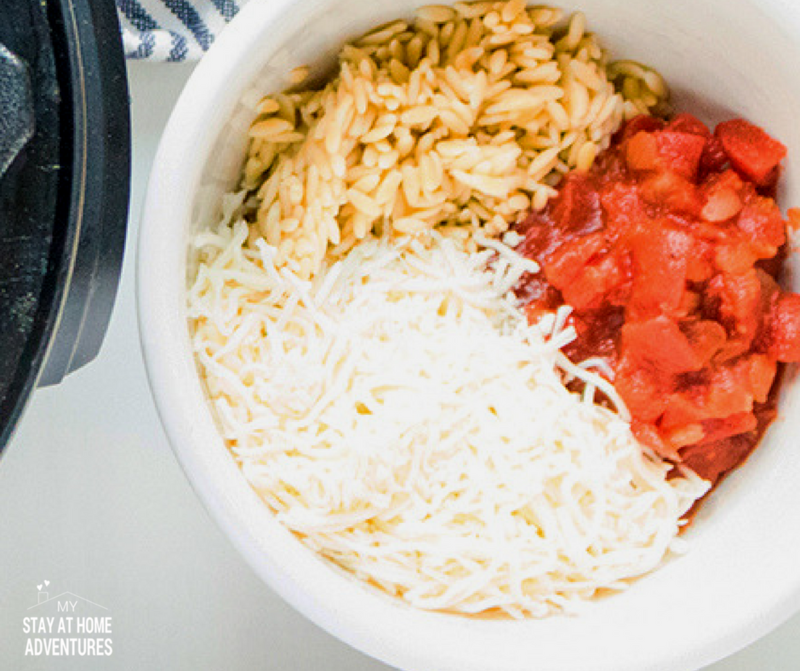 Remove from pot when done and mix together with the orzo pasta, tomatoes and mozzarella cheese. Remove the tops from the peppers and remove the membranes and seeds from the peppers. 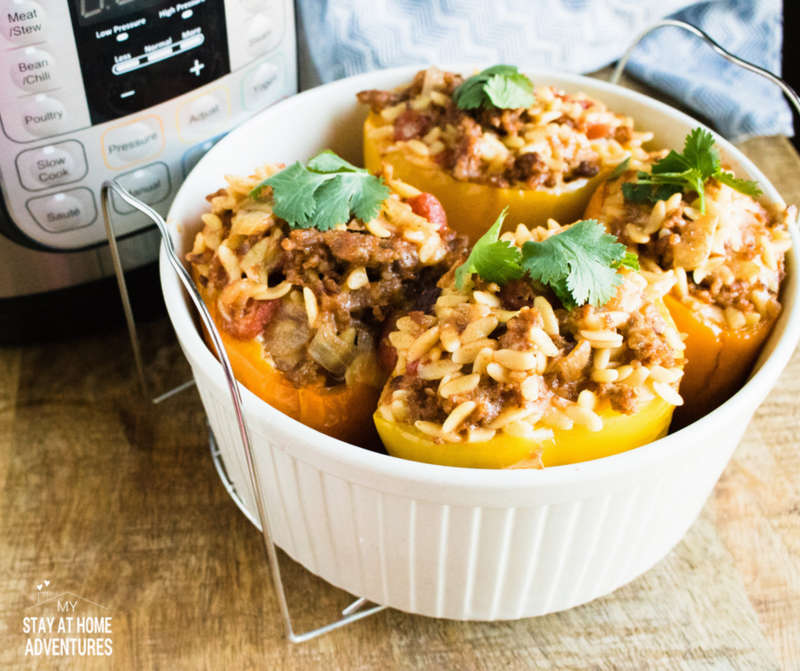 Stuff peppers with the orzo/sausage filling.